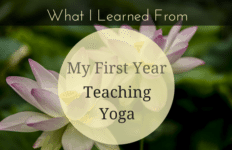 Diversifying your teaching experience is extremely beneficial to your growth and evolution as a yoga instructor. Teaching in multiple environments challenges your teaching capabilities and encourages you to learn how to adapt quickly. 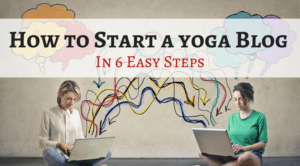 When first applying for yoga jobs, you may desire to find your first yoga teaching gig at a studio or even a local gym. 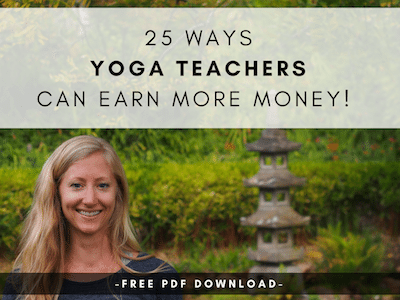 Eventually, branching out to new environments will not only inspire your teaching, but help you earn more money as a yoga teacher. Corporate yoga is a great way to increase your income as a yoga teacher and challenge yourself. In general, being a corporate yoga instructor means you teach yoga to the employees of a business. This could be a large corporation or a small startup. Usually the company pays for the yoga so it becomes a “free perk” for the employees, however this is not always the case. The growth of yoga in the workplace has skyrocketed in recent years. But how do you find a gig? I’ll lay out some ways I’ve had success and hope that you can learn from my experience. 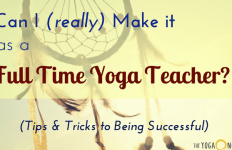 Applying for yoga teaching jobs in corporate settings does not follow the same protocol that studios or even gyms use. This is because typically, you’re an independent contractor being hired on to freelance your services for a designated period of time. It can take some extra effort on your behalf, but the hard work literally pays off. 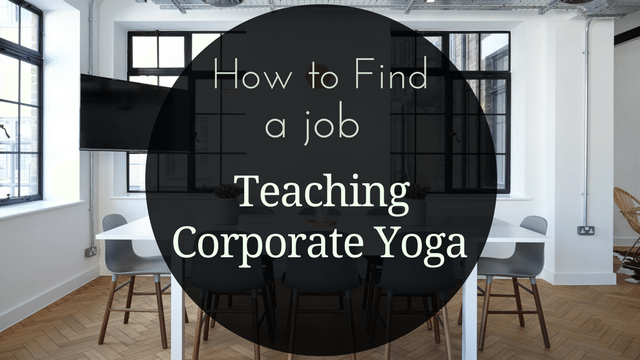 So how do you find a corporate yoga teaching job? Below you will find a few suggestions along with practical tips once you’ve secured your first gig. #1 Leverage your Personal Network! Getting jobs these days is really all about who you know. Connections make the world go ’round so use yours to your advantage! Start by making a list of close friends and family who are well networked and/or would be willing to help you out. Teacher training has provided you with a like-minded community and people who will advocate on your behalf so don’t forget to include them! If you’re already teaching, add your students to that list. 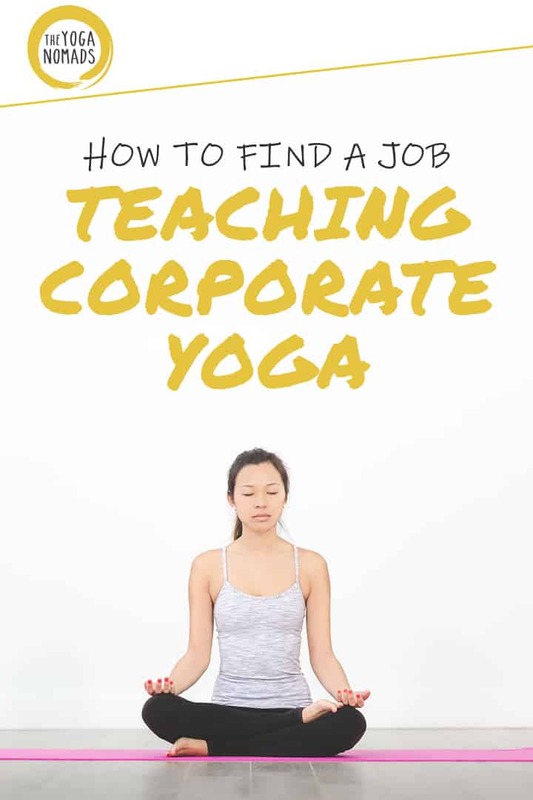 Next, start asking the people on your list where they work and if they think their company would be interested in offering corporate yoga classes as a wellness benefit to their employees. (Small agencies and businesses included – don’t discriminate!) If so, the next step is getting in contact with the right person to make that decision. Most of the time, this is a person in Human Resources or Corporate Wellness. Your friend should know who to direct you to at their office. Once you have their contact information, send a short email that states your offering and ask if they would consider the wellness benefit of weekly yoga classes. Be sure to have your resume handy! Take advantage of sites like Craigslist, Thumbtack, LinkedIn and social media platforms to search for jobs in corporate settings. Think about where job posting would be hiding online. 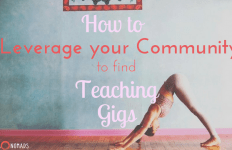 Post your inquiry in yoga teacher groups, wellness groups, and look on online job boards. Also – research online (or in your local newspaper!) “Best Employers” lists. These can be a great resource when searching for companies to market your services. You can do some extra digging and email HR directly stating your proposal for wellness in the workplace. 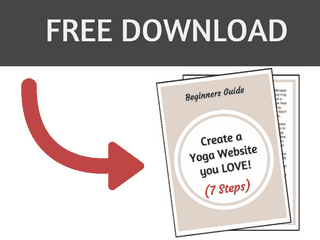 *** Don’t forget to get your yoga teacher resume ready to send! #3 Reach out to ideal companies directly! 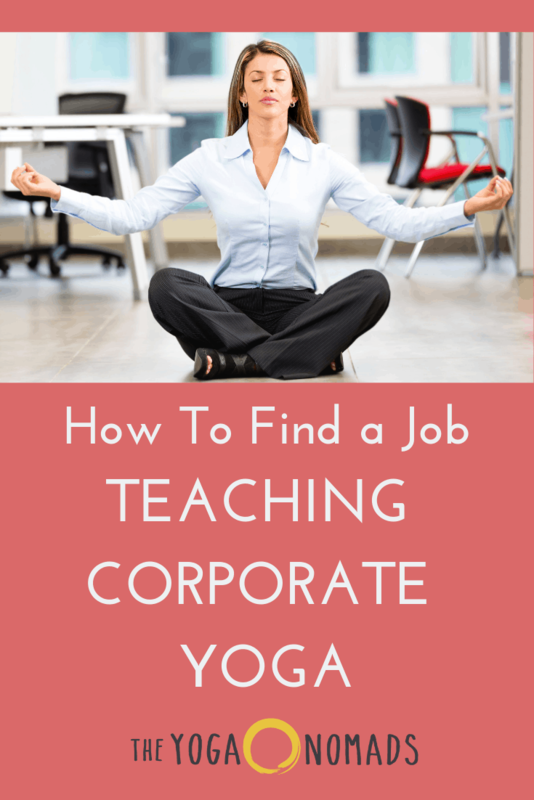 Finding corporate yoga teacher jobs will not be easy at first. Time to roll up your sleeves and do some work…! Take the initiative and reach out to companies you think may benefit from offering their employees a corporate yoga class. To get your prospecting list started, take the tip from above and find a “Best Employers” list in your area. Research each company and find their contact us page to get an email address in which to send your inquiry. Keep your message brief and to the point. Ad agencies, small private companies, and progressive tech companies are great places to start. They have less ‘red tape’ to deal with and are more hip to employee satisfaction. When you do secure your first gig, be sure to over deliver value. After you’ve proven your worth, get some referrals by asking the leadership if they know any other companies that might also benefit from yoga in the workplace. What is your experience? Resume handy? References? Will you supply the mats and other materials? What type of space would you need? How often and how many people can you accommodate? Protip: Be prepared to send a corporate yoga proposal to your contact at the business. Have a couple of your business savvy friends know look over your corporate yoga proposal template to ensure it looks professional. 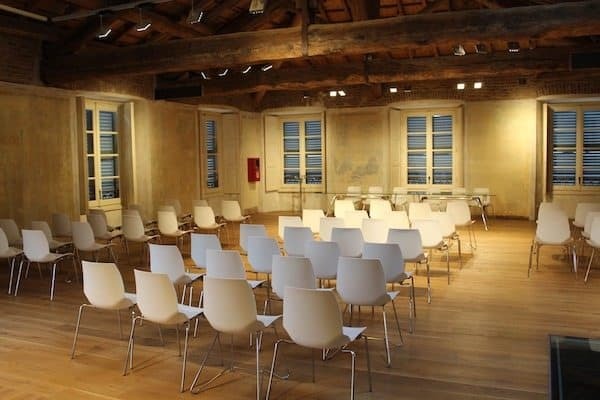 How much to charge for corporate yoga classes? This is the fun part. 🙂 Usually before you’re officially hired on to teach, your new employer will ask you what you charge per hour. Unfortunately there is no standard corporate yoga instructor salary. Take time to consider your honest worth and ask for exactly what you feel you deserve. In my experience, you can easily get double of what you make on average elsewhere, if not more. $50 should be on the rock bottom low end. $75 – $200 is a fair price depending on how many employees participate. These companies SHOULD pay extra to have a private teacher reserved exclusively for their employees. You’re setting up a direct relationship with the company (no middlemen) which again points to getting paid more than a studio class where you need to split the revenue with the studio owner, etc. Most companies have a budget for things like this. Start higher than what you may even feel comfortable asking. Teaching a typical yoga class takes up roughly 3hrs of your time (commute, parking, setup, takedown, prep work, etc). Get creative when negotiating. You could ask for $50 as a base rate, and then an additional $5 per student who attends. Do I Need Corporate Yoga Training? No. Your standard 200-hour yoga teacher training is all you need. However there are some slight differences between a studio class and a corporate class so make sure you prepare ahead of time. If you’re still stuck wondering how to teach corporate yoga well, I recommend putting yourself in the mind of your students. You’ll have all different experience levels, they won’t have much time away from work so class needs to be shorter, and they don’t want to lose face in front of their co-workers so don’t make it too athletic. What Makes a Good Corporate Yoga Sequence? I recommend using your favorite beginner yoga sequence as a starting point. Then modifying it to fit the group you’ll be guiding. Get familiar with the space you’ll be teaching. This is where you become a master at adapting. You may have to move around office furniture or turn down bright lights. Did you check the sound system? Will you be able to play your favorite yoga playlist or should you bring your own Bluetooth speaker? Be aware of the props you’ll have to bring. Most workplaces won’t already have mats and blocks and such. You can also ask your students to bring their own to each class. Statement of Work (SOW): A document laying out the activity, deliverables and timeline for a vendor providing services to a client. 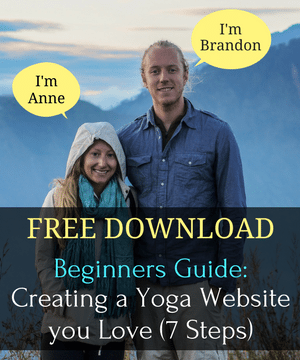 Karen, at Bare Bones Yoga, provides a simple and straight-forward example in her article here. 1099 Tax Form: (For U.S. teachers only) A form used to report various types of income, such as freelance work. Liability Insurance: Important to have as a teacher to protect yourself in the event of a lawsuit. Yoga is not exempt from risk! This shouldn’t be taken lightly. You can purchase here through Yogi Chuck. 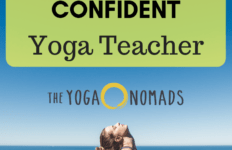 Yoga Teacher Resume: Having a professional yoga resume is one way to set you apart from the other teachers. This works exceptionally well for getting corporate gigs as you will appear more professional and serious about the opportunity. Corporate Yoga Proposal Sample: Draft up a professional looking proposal that explains what you offer, the benefits to companies, pricing, terms, etc. Be sure to customize each proposal to include specifics that relate to the company at hand. Lay out when you’re coming in prior to your commitment. Usually corporate yoga gigs are scheduled once a week over the lunch hour, very early, or late afternoon. Be comfortable with the time you decide upon together and fully commit. This can always be adjusted after a couple of months to best accommodate both parties. 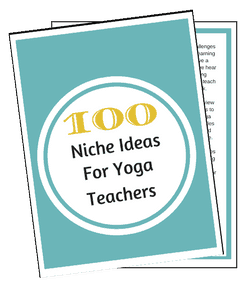 Get a feel for your students yoga experience ideally before you start teaching. This can be done in a gentle way by providing your email (or getting theirs) and asking if they’ve tried yoga before or have any physical conditions worth mentioning. Adjust your sequence ahead of time to meet their unique needs. 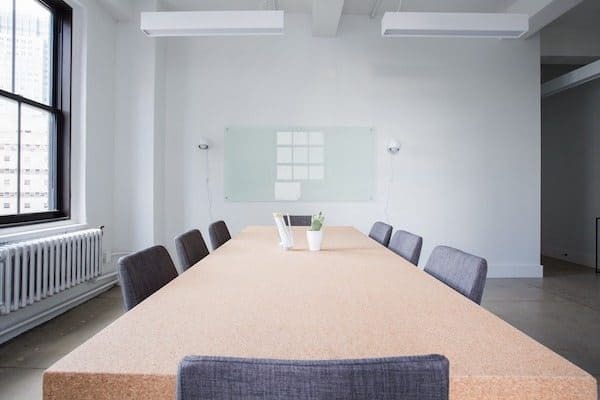 Chances are, the group may vary from week to week given their work commitments and meetings, but go with the flow of it all. Teaching yoga in a corporate setting can be very rewarding. 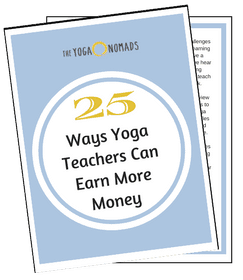 It’s one of the many ways yoga teachers can increase their income. It increases your ability to adapt to new environments and teach to varying levels of experience. All the while, you’ll glean more insight into where you like to teach the most. Have you taught corporate yoga? How did you find your corporate teaching gig? Any tips for the community?